As plus size retailers go, Evans have probably been around the longest! This means that they have seen more Christmas seasons come and go than some of their plus size competitors. This is great news because it means that can use their experience to put together fantastic winter wardrobe options - and for 2013 they have not disappointed. I love a skater dress and this one caught my eye because of the brightness of the colour. I love big, bold items of clothing and I think for less than £30.00 this is a great choice. I can see this skater dress put together with some nice bold jewellery and a big, sparkly belt to break up the colour a bit and give it a bit of glamour. You can buy this dress here. I have yet to add anything by Scarlett & Jo to my own wardrobe, but so far I have only ever heard good things about them! I like the colour of this tunic but I also like the lace shoulder and sleeve as I think it gives the dress a lovely look about it. You could easily wear this to work and then out to after work Christmas drinks without feeling like you weren't dressed up enough - a bargain for £35.00. You can get this dress here. 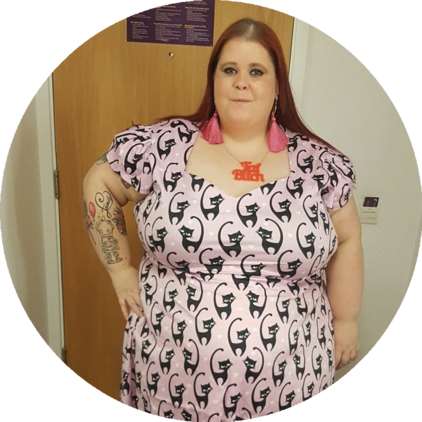 When the powerfit dresses were launched people didn't stop raving about them - in fact they proved so popular that Scarlett & Jo alongside Evans bought out the dresses in a whole range of new colours and patterns. As you know, I am a sucker for a bit of colour so these new dresses were right up my street! I haven't had the money to splash out on one of these yet, but they are most definitely on my 'must have' list. 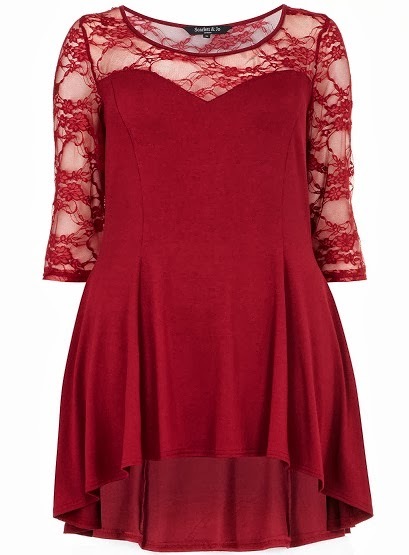 This red dress is lovely and I can really see it being worn to a Christmas party. It's only £45 so not a bad price for a dress at all. You can get this dress here. 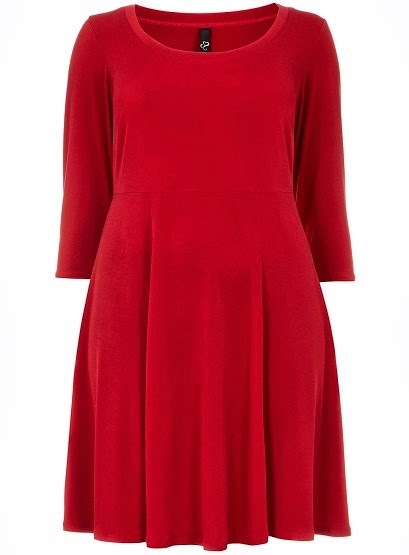 Of course, Evans have loads more dresses on their site - and they aren't all red! Why not head over and see what catches your eye? Have you bought any dresses for the up and coming party season yet?